Wow radical Islam, whose holy now motherf$&@ers! Wow...I know the us goverment hates islam and its scholars but the story is ridiculous and plain desperate at trying to tarnish sone ones character even in death. IGNORANCE IS TRULY BLISS...and many fools will just believe this without questioning or scrutinising the accusations. Asalamu alykum and happy ramadan to ALL! This truly is a nation of idiots. disappointing disappointing, could not wait for 72 virgins; all Obama's fault for not sending drones soon. 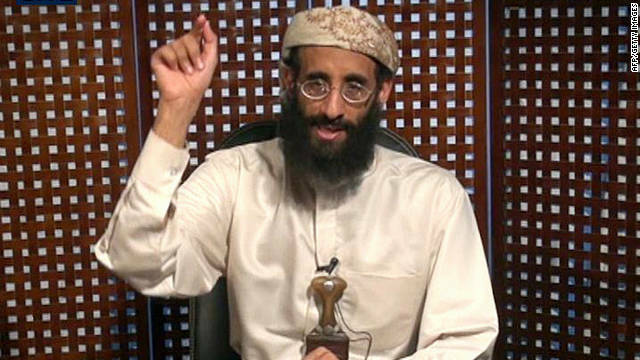 This is just more right-wing propaganda to further disgrace this Anwar al-Awlaki in order to justify his cold blooded murder. Unfortunately, the American public will fall for it as usual!!! Hmmmm he was key in murdering how many civilians? He death was not only justified it should have happened way sooner now hurry on now your camel misses you.